07:00 — Today’s top news headlines from local to global current affairs — radio news roundup you won’t hear anywhere else. 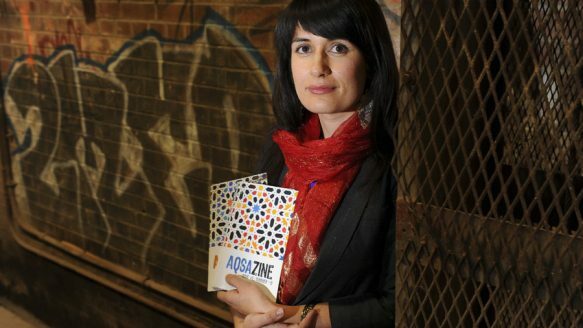 29:00 — Interview with Farrah Khan (anti violence councillor and advocate in Toronto) on Jian Ghomeshi allegations, how racialized and immigrant women are even less likely to report violence to police because of broken trust, and how the media has reported the story. How to address both violence against women and racism against one’s community? 39:30 — Interview with Cleta Brown (Vancouver Green Party city council candidate) on the municipal elections and the pace of development in Vancouver. 48:00 — Interview with John Jack (executive councillor with Huuayaht Nation) on being the first First Nation to adopt a living wage for employees. 56:00 — Interview with Sam Gough (Firehall Theatre) on new production, URINETOWN, part of Heart of the City Festival, dealing with the underclass and struggle of poor people for the right to clean water.